We had an unfortunate occurrence in November when our construction trailer was broken into on a project site. A large number of our tool inventory was stolen and will require replacement. If you, your business or your church is interested in assisting us in replacing our tools, with either a financial donation or an in-kind donation, we would be immensely grateful. 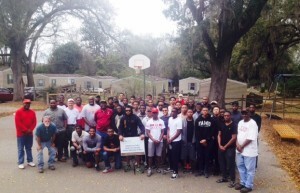 Ideally, we need to complete two Greater Blessings Project Tool Boxes. In addition, we are in need of a compressor, hoses and two nail guns – the largest item that was recently stolen. If you are willing to help us restore our tool inventory, please contact us at: info@tfch.org for more information. 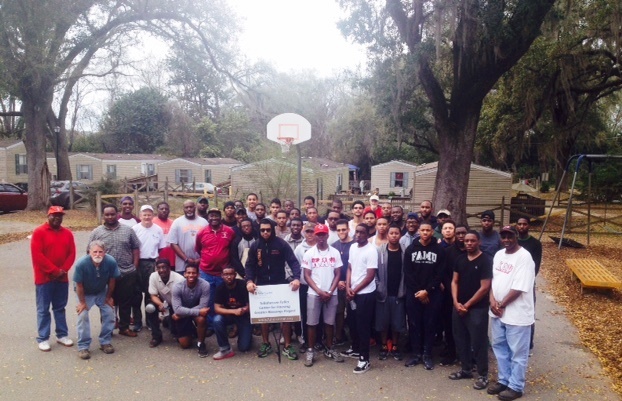 The Tallahassee Fuller Center for Housing has had a very busy fall 2014 project season. 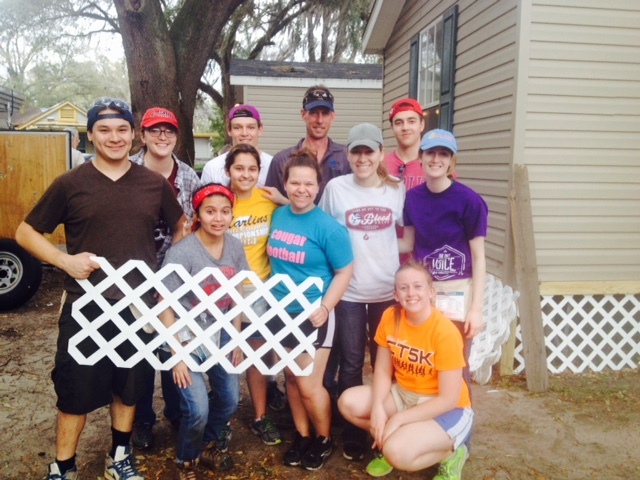 In October, volunteers completed several repairs on the home of Keta Monroe in the Chaires community. Working alongside Keta and members of her family, we installed new steps at both entrances to her home and installed new kitchen cabinets. We will be returning in the next few weeks to help her install new flooring in the living area of her home. 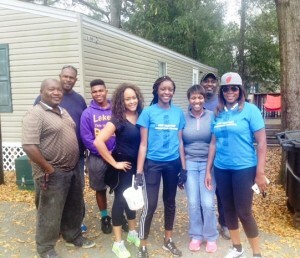 It is hoped that Keta and her family will be able to move back in to her fire-damaged home soon. 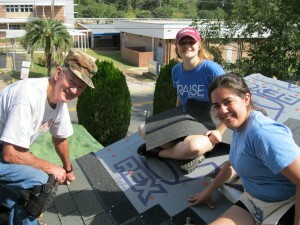 In October and November, volunteers from the United Church of Tallahassee, FSU Habitat and members of Vivian’s church family spent three Saturday’s putting a new roof on the home of Vivian Cromartie in Havana. 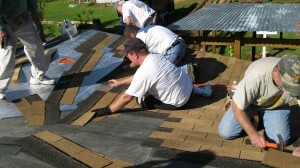 In addition to replacing her roof, our volunteer crews also completed interior repairs made necessary by water damage created by the long leaking roof. Vivian is partially disabled due to having a stroke several years ago, but she is currently working hard and traveling daily to complete her two-year degree at Tallahassee Community College. 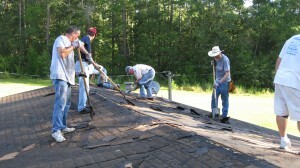 Volunteers from Trinity United Methodist Church, FSU Habitat, United Church of Tallahassee and Good Shepherd Catholic Church worked many Saturdays and weekdays in October and November to replace the roof on the home of Bobby Flowers in Tallahassee. 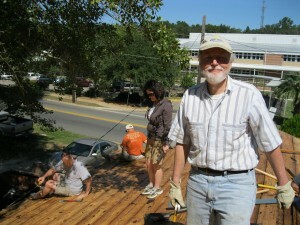 Although Bobby is partially disabled as a result of a car accident two years ago, he and members of his family will be completing interior repairs to his home following completion of the roof project. Thank you to all of your dedicated volunteers! We expect to dedicate all three projects in early January. As a result of working through our long list of projects over the past several months, TFCH will now be able to once again take applications for assistance early in 2015. 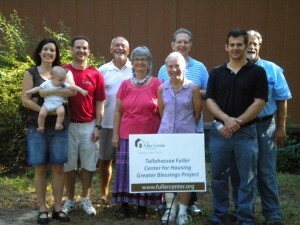 The Tallahassee Fuller Center for Housing celebrated the completion of three Greater Blessings Projects recently. 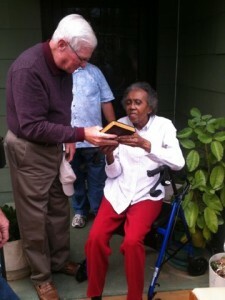 On September 11, we dedicated the home of Linda Andrew’s on Kittrell Road in Quincy. 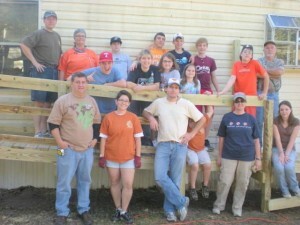 The repair project, that included the construction of a handicap ramp, deck repair, siding repair and a fresh coat of exterior paint, was funded by Trinity United Methodist Church and completed in August by volunteers Trinity’s young adult ministry. 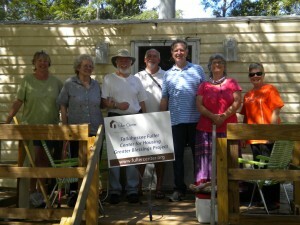 The dedication and home blessing was led by Associate Pastor Tony Fotsch. Linda, a retired Leon County kindergarten teacher, who suffers from multiple health problems, expressed immense gratitude and told us that the help that she received was life-changing. 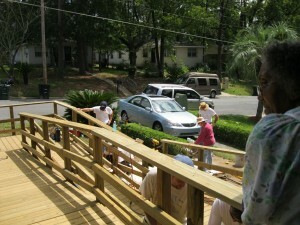 Also, on September 11, a wheel chair ramp constructed at the home of Mary Horn by the Bradfordville 1st Baptist Church youth group was dedicated. Mary, who lives on Seminole Circle in Havana, recently had back surgery and suffers from extensive nerve damage in her legs and feet. 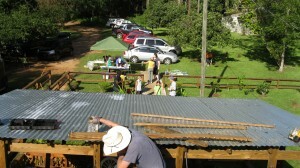 The ramp will help Mary greatly following her next round of surgery. In addition to Mary and members of the TFCH Board, Mary’s daughter and son-in-law were also in attendance at the dedication and home blessing ceremony. 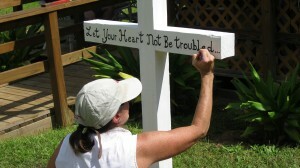 The following weekend, on September 19, TFCH held a dedication and home blessing at the home of Diane and Clyde Young, who reside on Doonesbury Way in Tallahassee. 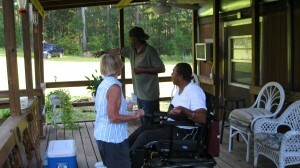 Diane is a full-time caregiver for her disabled 83 year old husband. 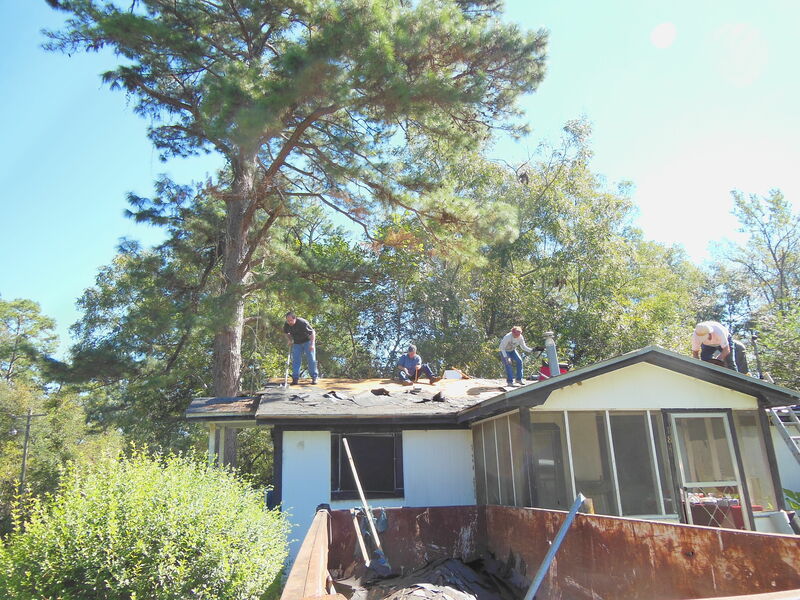 Their home required extensive repairs including a new roof, exterior door, siding repair, widening a bathroom door to allow wheelchair access and installation of a bathtub grab bar. 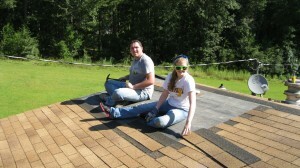 This was truly an ecumenical project, as volunteers from Good Shepherd Catholic Church, FSU Student Builders, Bradfordville Baptist Church and Killearn United Methodist Church and Deer Lake United Methodist Church worked on the project that was completed last spring. Diane led us in prayer and thanksgiving and Fr. 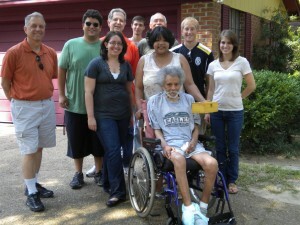 Robert Young blessed Diane and Clyde’s home. In addition to TFCH Board members and project volunteers, members of FSU Student Builders celebrated with the Youngs.